Ryde Garden – Project Win. StraBe Group are pleased to announce we have finalised the contract with The Glascott Group to deliver Bespoke Furniture for the Ryde Garden Development. Now in its final stages of construction, The Ryde Garden development will feature 830 residential apartments with basement parking for 730 cars, 2,100m2 of public park, roof top gardens and a communal pool, 1,100m2 of non-residential floor space including retail space, gymnasium and an area dedicated for a future child care centre. 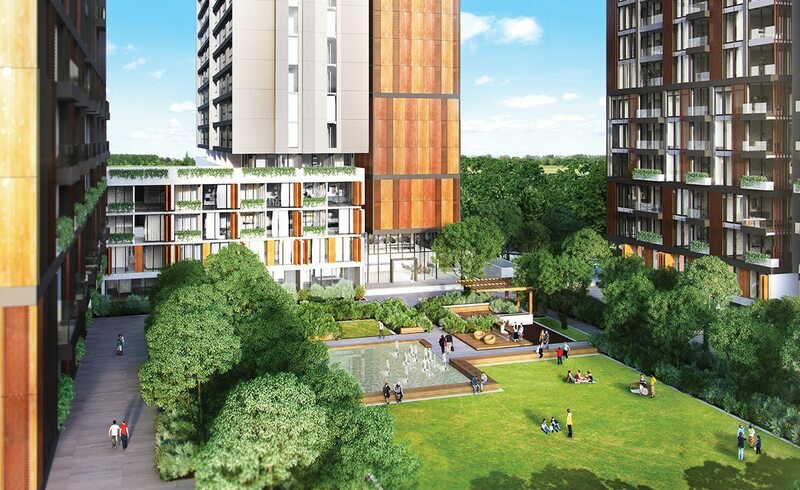 Comprising three towers of 13, 23 and 27-storeys, Ryde Garden will provide expansive open spaces including a public park set close to the North Ryde Station, offering a landscaped retreat for both residents and the local community. StraBe Group will be working with The Glascott Group and the builder ‘Watpac’ to deliver the project in stages as each building is complete. Copyright © 2017 StraBe Group, all rights reserved.